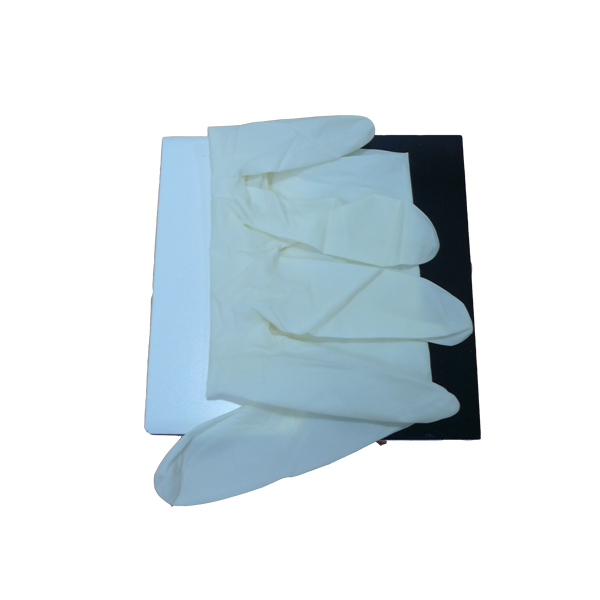 Quality is often associated with consistency and latex glove are no exception. With growing emphasis on the importance of color-coded gloves, color consistency for glove is getting more stringent. Many manufacturers in industry like healthcare and food are shifting towards a numerical value system through color measuring instrument to ensure color consistency. With the help of color measuring instrument, a standardized color control process can be established to help manufacturers meet color quality standards while reducing errors and waste. Most gloves are not fully opaque and multiple folds of the glove are recommended to ensure opacity before presenting it for color measurement. 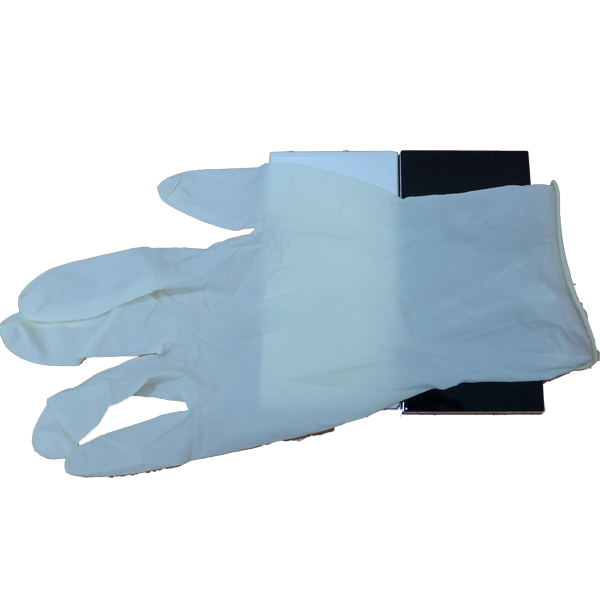 For highly translucent gloves, a trans-reflectance measurement, using a white substrate backing is recommended. Ceramic tile or Leneta opacity card are two commonly used substrates. The opacity or opacity index of a latex glove can be determined by dividing the luminous reflectance of glove with black substrate against the luminous reflectance of the same glove backed by a white substrate. The more transparent the glove, the smaller the opacity index will be. Color measuring instrument like Konica Minolta Color Reader CR-20 has the necessary color spaces such as CIE L*a*b* and Yxy for quick, easy and objective color evaluation. 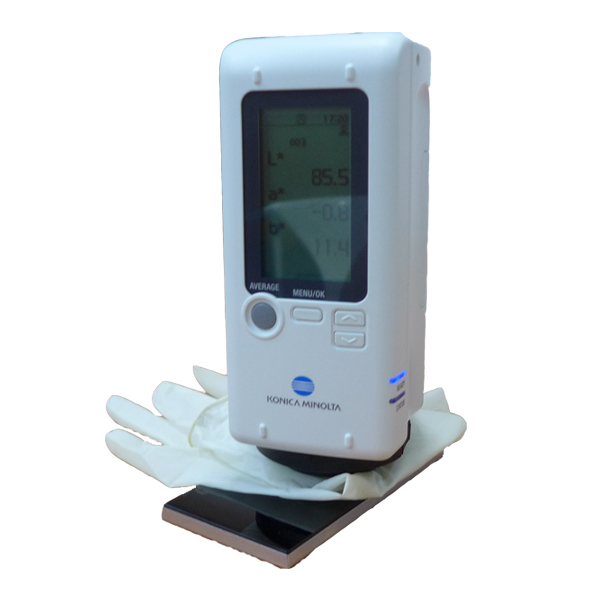 CR-20 is portable and simple to operate, suitable for on-site color evaluation and is commonly deployed in the in-process or outgoing latex glove process as a simple pass/fail gauge. Learn more about latex glove color quality control here. Alternatively, click here or call us at (+65) 6563 5533 to consult with our color specialist.